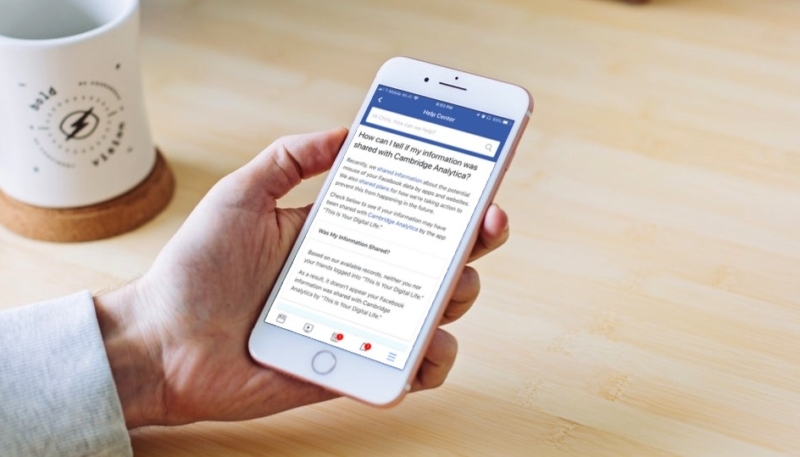 As the numbers from the Cambridge Analytica Facebook scandal continue to grow, (It’s believed that up to 87 million account holders may have had their data breached), you may wonder if you’re among the affected Facebook users. Luckily, you can quickly find out if your personal data was breached, and you can do it on your iPhone. Here’s how. 2.) 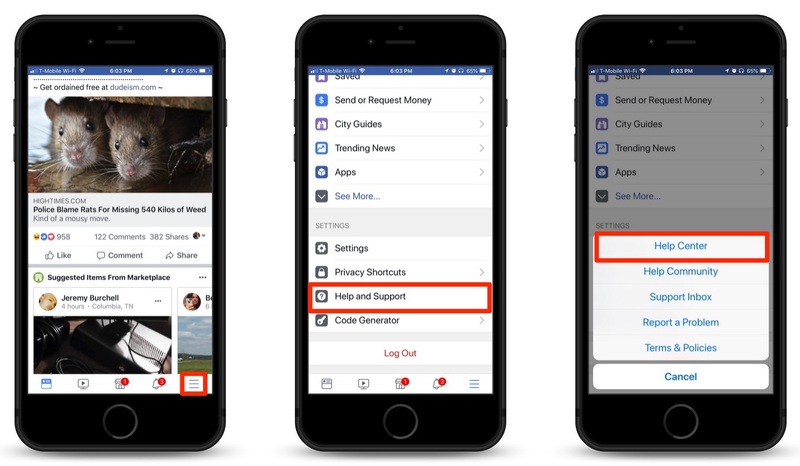 On the next screen, scroll down until you see the “Help & Support” menu option. Tap on that. 3.) On the menu that appears, tap on the “Help Center” menu item. 4.) On the Help Center screen, type “Cambridge” into the Search bar. 5.) In the results that appear, you’ll see the top result is: “How can I tell if my information was shared with Cambridge Analytica?” Tap on that. 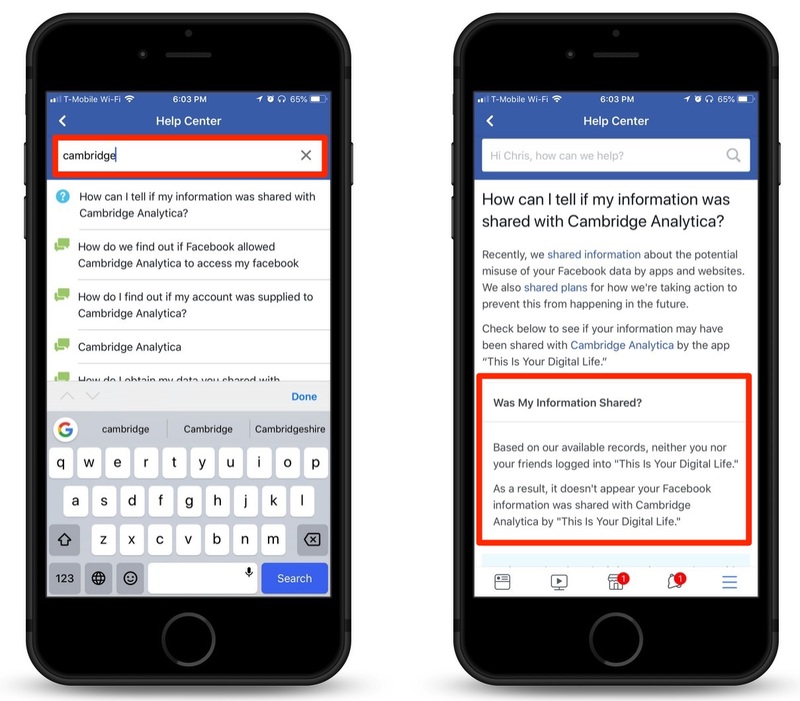 Keep in mind that even if your data wasn’t accessed by Cambridge Analytica, it has likely been accessed by other quizzes and apps found on Facebook. If you’d like to see which apps have access to your info, follow the steps found here.